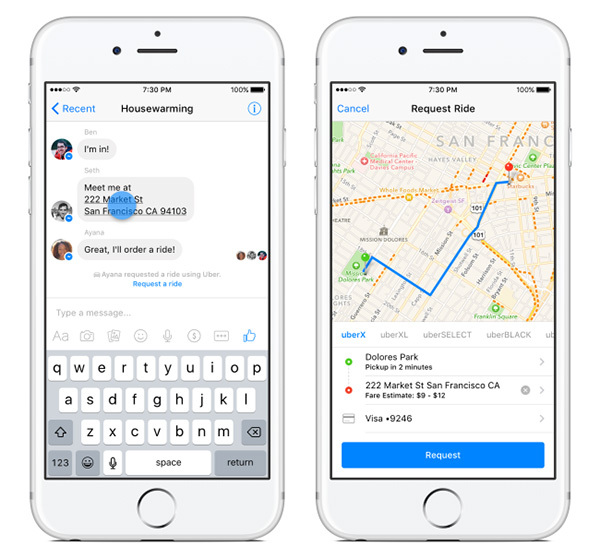 Those who use Facebook Messenger and also like to get around using Uber cars will be pleased to learn that they can now take advantage of both of those things at the same time, with the Facebook Messenger app gaining new Uber support. Facebook has today updated its Messenger app, and somewhat uncharacteristically, the company has seen fit to actually tell users what has changed in the release notes. Usually, Facebook’s apps tell users nothing of what has been added or changed between releases, but today’s update is different. 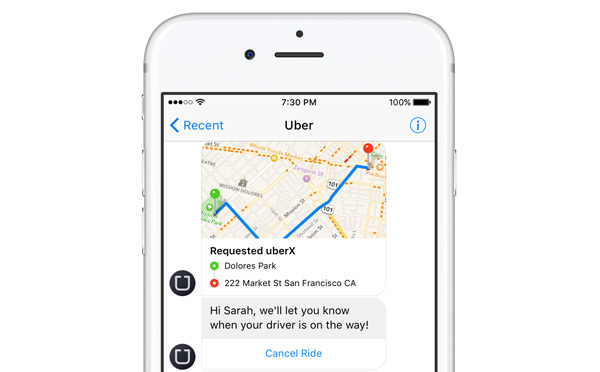 With the latest update, those who use Facebook Messenger on iOS and Android now are able to order Uber cars right from within the app itself without even having the Uber app installed. The new feature, which Facebook says is the latest “integration” to be added to Messenger, also gives users free $20 credit if they link their Uber and Facebook accounts. Those looking to order an Uber car in Facebook Messenger can either search for the company by name or tap an address inside a conversation. That address will then become the destination for your Uber car. There is also a handy car icon above the keyboard that will also take users into the Uber portion of Facebook Messenger. It’s also worth noting that at this point Uber integration is being rolled out now in the United States, with not all areas supported just yet. 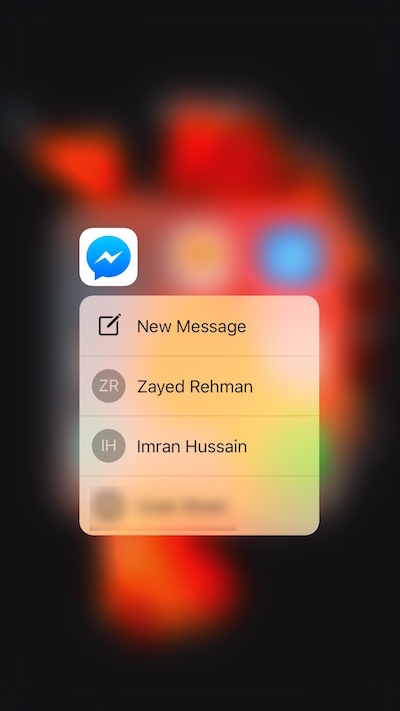 Alongside this new support for Uber, Facebook Messenger on iOS has also received support for the iPhone 6s’ 3D Touch, allowing new and existing conversations to be launched from the app’s icon on the Home screen. Christmas-related emoji’s were also added, as was the ability to invite anyone with a phone number to a chat. 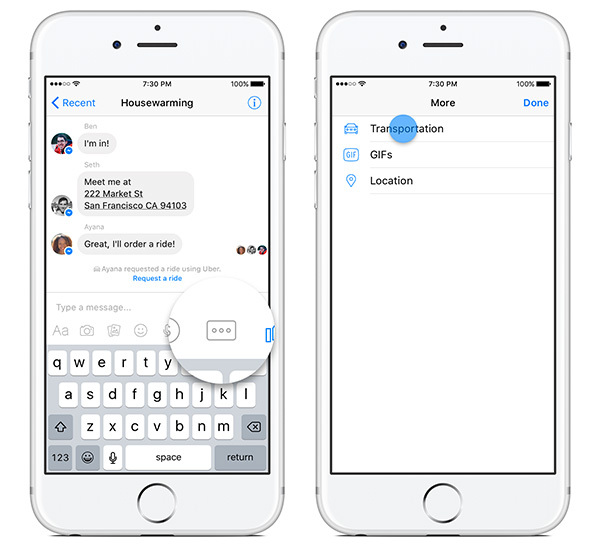 Facebook Messenger can be downloaded from the App Store and Play Store and is completely free.